Getting cool new features before everyone else is just plain fun. To be on the bleeding edge can require a lot of effort at times, since the fastest way to get an update is to find it as soon as it leaks, then get to work on sideloading the new version. Luckily, there's an easier way to get the latest features on your favorite apps, with WhatsApp being no exception. Early adopters were definitely pleased when WhatsApp started offering a beta version of its popular messaging app, but there was no way to know when a newer beta version was released aside from checking the website. That's not the case today — Google has made it incredibly easy to sign up for betas for your favorite apps, no longer leaving fans to go out of their way to keep up with future updates. Google now makes it easy to jump on app betas by including a signup link on the app's Play Store page. Keep in mind that not all apps have this option, just ones that opt in. However, WhatsApp happens to be one of these apps, so that discrepancy won't impact you here. 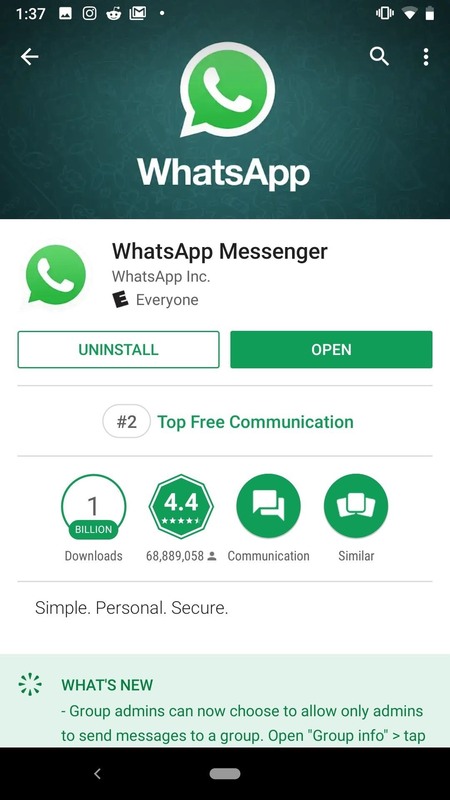 To sign up for WhatsApp's beta program, open its Google Play Store page. Next, scroll down to the bottom of the page. 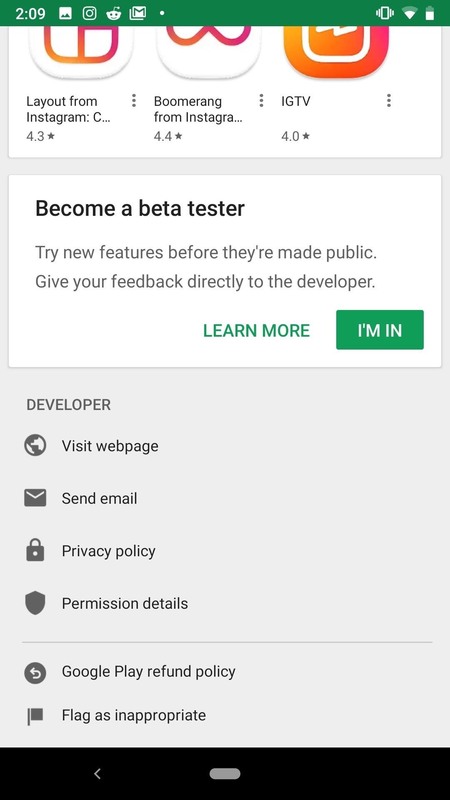 Under "Become a beta tester," tap "I'M IN." Finally, tap "JOIN" on the pop-up to complete the process. For whatever reason, apps might say their betas are full when they still accept users via a separate web link. Whether this is to keep down the number of users that sign up for the beta, or this is a glitch isn't clear. However, what's important to you is you can sign up for WhatsApp's beta program no matter what. 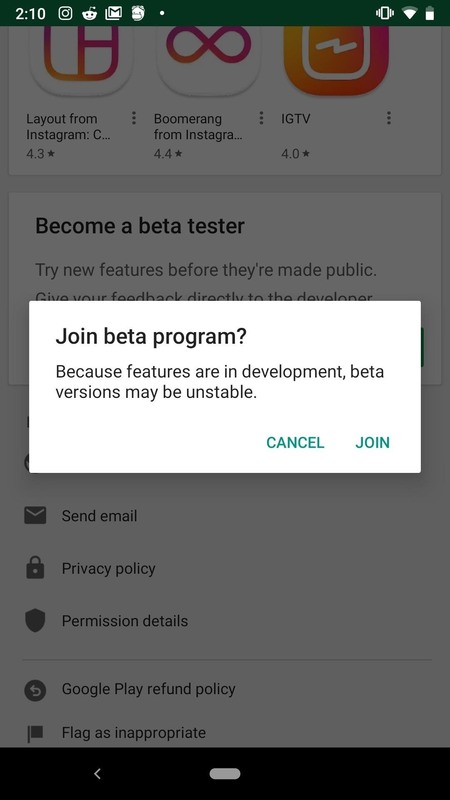 If the Google Play Store isn't cooperating, check out the web link for enrolling in WhatsApp betas here. Sign in to your Google account if prompted, then select "Become a tester." Unlike the first method, Google won't make you confirm your choice — however, you may need to wait as long as an hour before the new beta version appears as an update on your Android device. Should you ever wish to go back to the stable version of WhatsApp, go back to the bottom of WhatsApp's Play Store page and tap "LEAVE" twice. Nice Information, i just share on my facebook page.